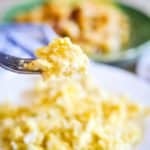 3 Secrets to Making Melt-in-Your-Mouth, FLUFFY Scrambled Eggs! Are your scrambled eggs tough or lacking in flavor? 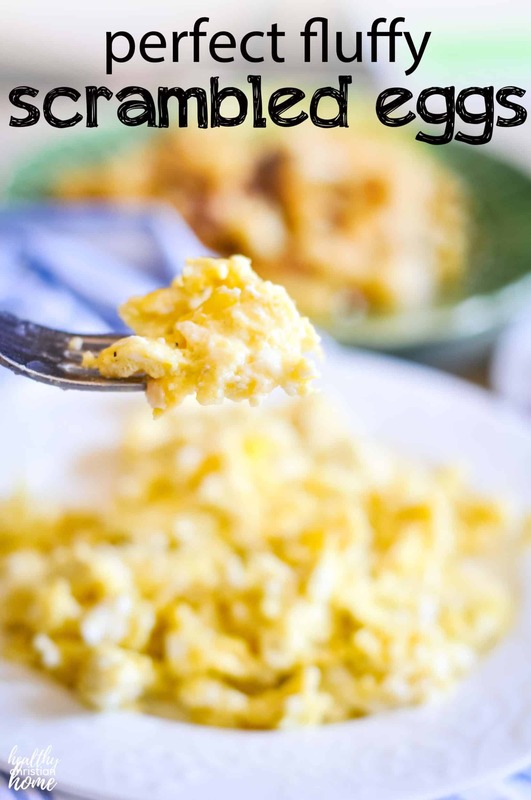 Then you need these 3 secrets to making these melt-in-your-mouth, fluffy scrambled eggs! 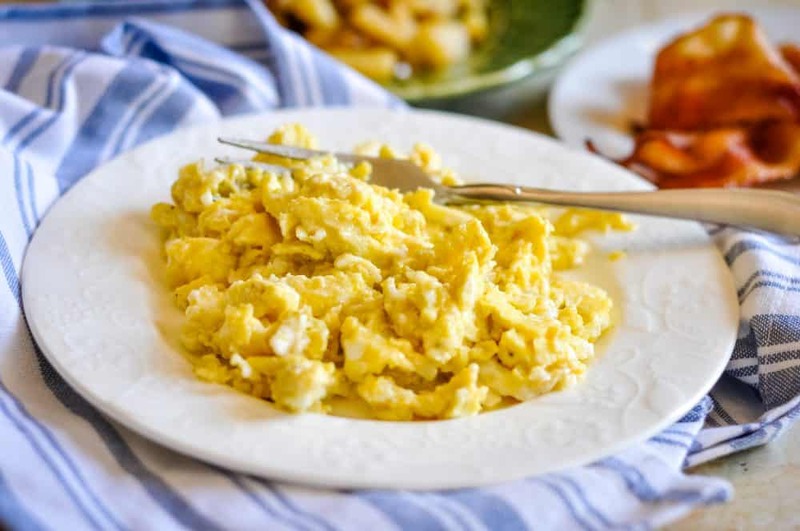 Although making scrambled eggs is pretty straightforward, there are couple of tricks that will have your family ooooohing and aaaaaahing over your next batch! 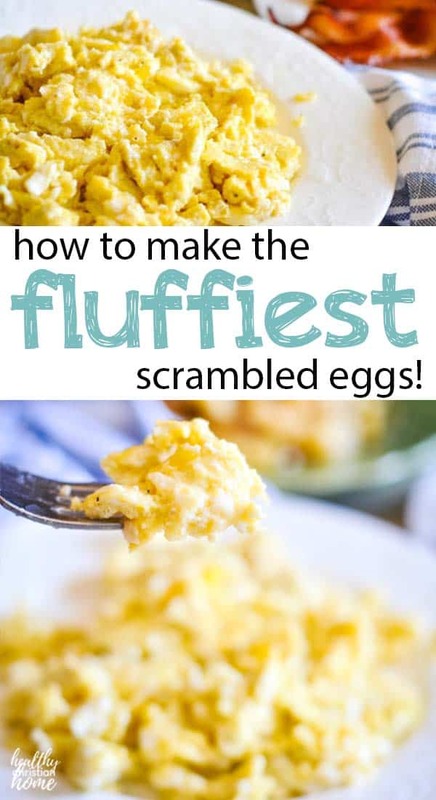 Yep, today you’re going to learn how to make the best fluffy scrambled eggs ever. I can’t take credit for this method. 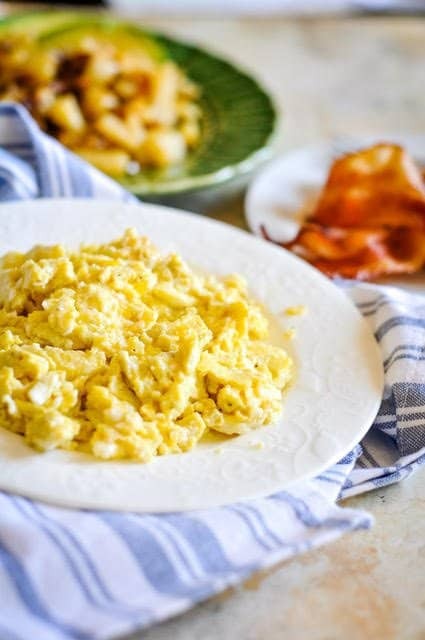 I’ve only recently changed my scrambled-egg-making ways after following my mom’s scrambled egg recipe to a T.
Every time we go stay at my parent’s home in Arkansas for a break or vacation, I wake up looking forward to mom’s scrambled eggs. My youngest son, who typically picks at eggs, eagerly finishes every bite on his plate. They are fluffy, melt-in-your-mouth perfection! So of course, I had to find out her egg scrambling secrets and share them all with you! Are you ready? 1. Don’t add milk (or any other liquid). For years, I added milk or half & half to my eggs while mixing. My husband insisted that it was THE WAY to make scrambled eggs better. This is the MOST IMPORTANT key to making amazing homemade scrambled eggs. You must, must, must cook them LOW & SLOW! Everyone’s stove is different, but heat your pan on medium-low and melt some butter in there. Add your eggs and watch them closely while you scramble and do other breakfast-y things. If they’re starting to cook quickly, turn down the heat! Something about cooking them slowly makes them extra tender, light, and fluffy. 3. Take them off the heat a minute before you think they are done. You want your eggs to still look moist when you take the skillet off the heat. This is because the eggs will continue to cook even after the heat source is removed. And by the time you call your family in and start plating everything up, they’ll be done to perfection! Put a lid on top to keep the heat in. If you let your eggs cook fully before removing them from the heat, they’re still going to continue to cook and you’re left with tough, overcooked eggs. Ew. What kind of pan should I use to make scrambled eggs? 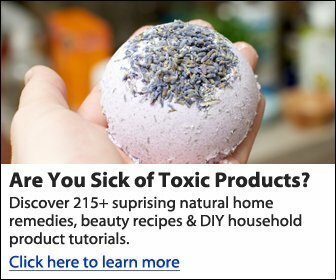 They’re safer and healthier than non-stick pans, which have a teflon coating. This coating can eventually begin to flake off into your food — yuck! Eggs taste better in stainless steel pans. In contrast, cast iron pans can sometimes impart their “iron” flavor (although they are wonderful for heating foods evenly) since eggs are so delicate. At times, the cast iron also reacts with the eggs to make them a darker color. Why make scrambled eggs without milk? Milk won’t make eggs creamier, fluffier, or stretch the dish out. 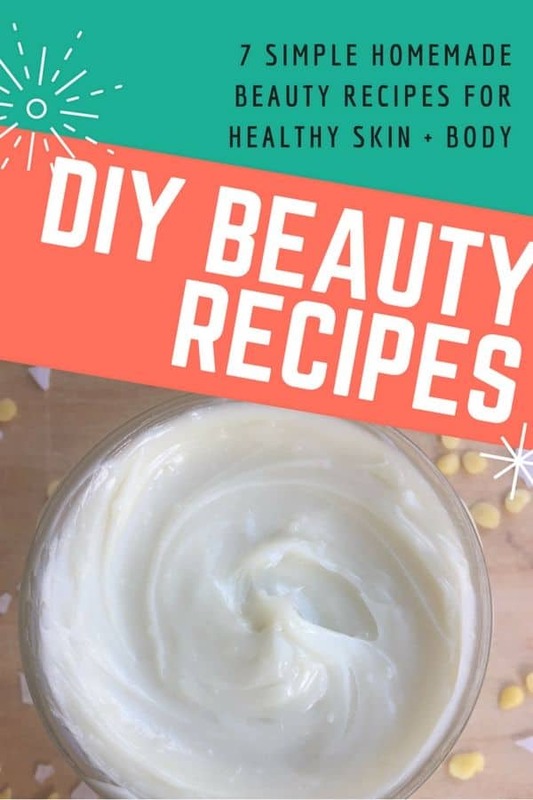 What the milk really does is dilute the flavor of the eggs, making them rubbery, colorless, and something similar to what you would find at a school cafeteria. In other words, adding anything liquid-based to your eggs only serves to make them less flavorful. This is definitely a situation where less is more. So leave your eggs alone and let them shine! If you want your eggs to taste even more over-the-top amazing, add some sharp grated white cheddar (we love Cabot Extra Sharp) during the last minute of cook time, or when you take them off the heat. You’ll thank me later! To make them egg-stra special (see what I did there? ), you can even add some bits of chopped bacon, ham, or sausage! Are your scrambled eggs lacking in flavor or too tough? 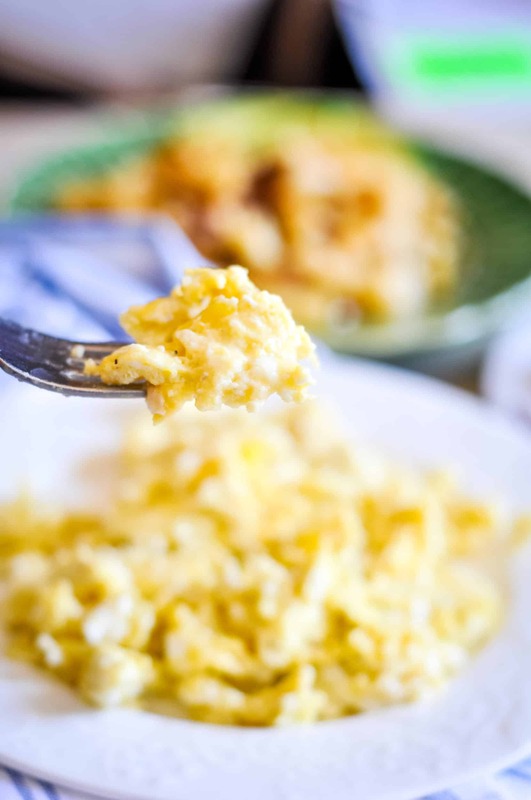 Then you need this recipe for making the fluffiest, melt-in-your-mouth scrambled eggs! Heat butter in a large skillet on medium LOW heat. Whisk eggs, salt/pepper, and spices/herbs (if using) in a small bowl and transfer to warm skillet. Cook LOW and SLOW to create tender and fluffy eggs. As the eggs begin to firm up in the pan, use a spatula to gently scrape the eggs across the pan. Don’t over-scramble. Pay close attention to your eggs. If they start cooking quickly, turn down the heat. Remove from heat while the eggs are still a little moist, about a minute before they seem totally “done.” Sprinkle with grated cheese, if using. Cover with a lid until ready to plate up.